At the moment, snow conditions in the ski resorts of the European Alps are very good for mid-December and even superb in the ski resorts of the north-western Alps like Engelberg (434cm), Wildhaus (260cm), Damuls (210cm) and Lech (205cm). It is safe to say that this is the best start to the ski season for two decades. 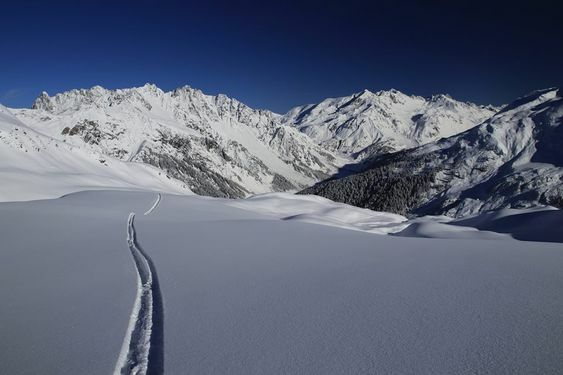 According to our data 92% of all ski resorts show a snow depth of more than 100% of the 10-year average, of which 49% even have 250% of the average snow depth at their disposal. Some of the seasonal weirdness can be explained by this year’s La Niña weather pattern. Really snowy ski seasons like this one -and the one in 2011 for example- tend to be La Niña years. Weak-to-morderate La Niña conditions are officially in place since late september and may continue through early 2018 with a transition to neutral most likely during the mid-to-late spring. Although La Niña describes a prolonged period of cooler temperatures in the Pacific Ocean, it does affect Western Europe. For several months, colder than normal equatorial sea temperatures in the Atlantic -about 1.0°C cooler than the long-term average- have been compensated by warmer than usual temperatures across the North Atlantic where Europe’s storm systems are generated. In turn, this is powering additional evaporation which manifests itself as heavy snowfall across the Alps and Pyrenees. It is snow rather than rain that has been falling because the wind has generally from a north-westerly direction rather than the mild southwest, thanks to the jet stream. In Europe, winter conditions are influenced less by La Niña than elsewhere, but there are still some effects that may be relevant for the next few months as La Niña persists. For Western Europe, La Niña can increase the likelihood of blocking weather patterns, which means that milder air is less likely to move in from the Atlantic. In other words, the normal west to east flow of air from the Atlantic into Europe is blocked. In early winter, this has the effect of keeping conditions colder than normal, but in late winter, it could actually create more clouds and stop temperatures from dropping too far. After a run of relatively mild winters, current seasonal forecasts are predicting a colder-than-normal start to the winter for Western Europe, but as the season goes on, milder-than-normal conditions will become more likely. The means that extreme wintery conditions involving snow should be slightly less likely than normal from late January across north-western Europe. In terms of precipitation, to accompany the milder conditions, we’re also likely to see wetter-than-normal conditions for Western Europe. Other prediction centres around the world -including UK's MET Office - show good agreement on an increasing likelihood of cyclonic weather patterns over Northwest Europe with mild westerly winds, but also increase the chances of colder north or north-westerly winds, suggesting a changeable situation with a mix of conditions. 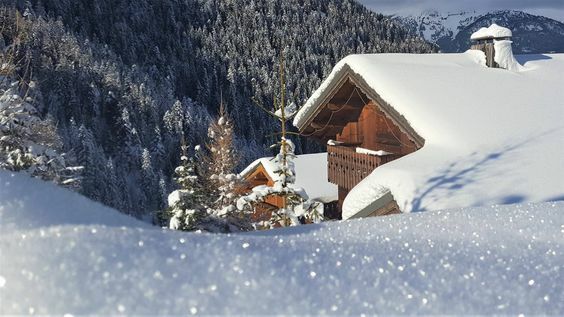 For the short-term, a welcome interlude of calm weather across the Alps is expected for Christmas with lot's of sun and milder temperatures, but more heavy snowfall is on the cards after Christmas. The Christmas child might be a girl.